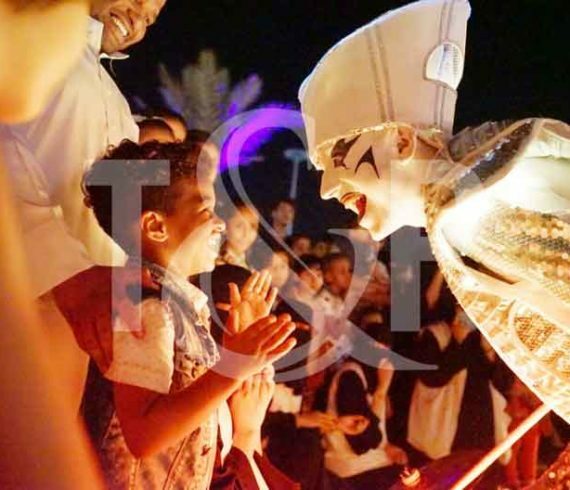 Our entertainment agency proposed entertainment for Eid celebration in 5 cities around the kingdom of Saudi Arabia (Tabuk, Jeddah, Abha, Aseer, Al-Madina). One of them being our great LED drummers performing their marvelous lighting parade in each city. An important event just happened in Geneva, Switzerland for about 700 people coming from India. For the occasion, a nice selection of entertainment. One of them being our rola-rola act. 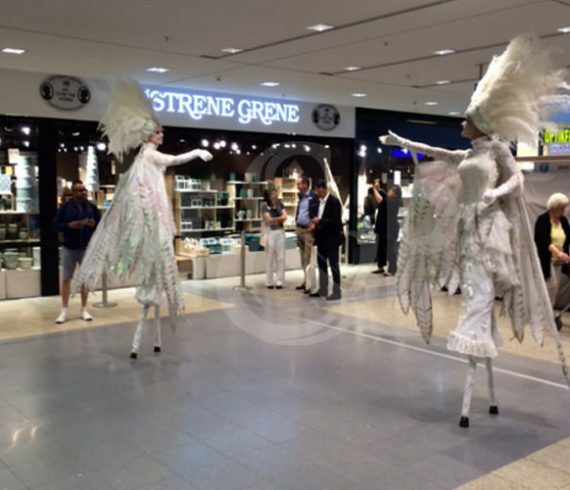 Last week, we were in Hamburg for the inauguration of Sostrene Grene store. Our stilts walkers made the show for customers! The brand designs everyday products: interior design, stationery, gift wrapping, crafts, kitchen goods and toys for children. Common to all products is an elegant and feminine expression that brings beauty to everyday life. “With a curious and creative mind, even the smallest things can become something wonderful”. 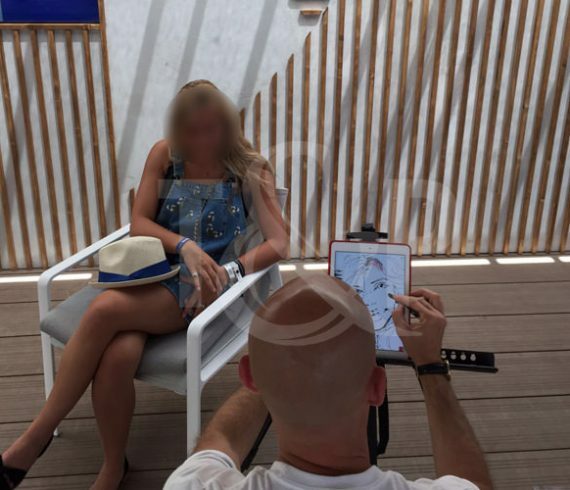 Last week, our caricaturist was on the Facebook VIP beach party during the Cannes Lions. For this very special party, our magician realized guests caricatures. With an Ipad, he realized guests portrait caricatures in few minutes. His performance was funny, he seduced everyone! For this 70th anniversary, the bigger flea market of the world with his 350 antiques made a gorgeous event! Elegance, art, gastronomy, and amazing entertainments were in! For this very special occasion, Alain Ducasse, Hugo Desnoyer, Gilles Verot and Kaviari sublimed this event. The Inside Out Project of the French artist JR was the very special souvenir for guests: they printed a giant portrait and pasted it on the market wall! Synonym of beautiful and rare, this anniversary was the occasion to prove it! 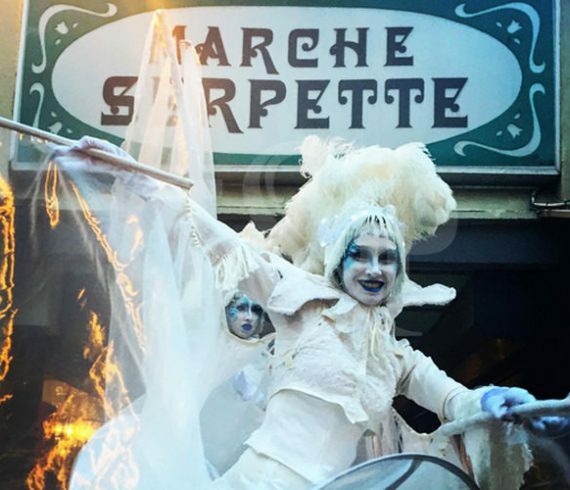 Our stilts walkers all in white shinned during this amazing event! Our pretty A Capella Girls were in Geneva for a private “girly” event. In a bucolic place, flowers everywhere …Guests were in a girly atmosphere during the evening. Team building activities and dinner were in harmony with our a capella girls voices. Professional convention and… Stunt Boys! Our stunt boys were on Narbonne (Fr) for a departmental convention about “health and safety at work”. Between each sequence, the stunt boys made a show to illustrate the themes involved. They prepared a show with street elements like bicycle, bench, and also employees of the society! Our stunt boys talked about their job, explaining how much are important safety norms during their performances. They made a participative show, and our client loved that! For a launch party, our “Girls Band A Capella” surprised guests with a medley of the historic songs of the brand advertising. 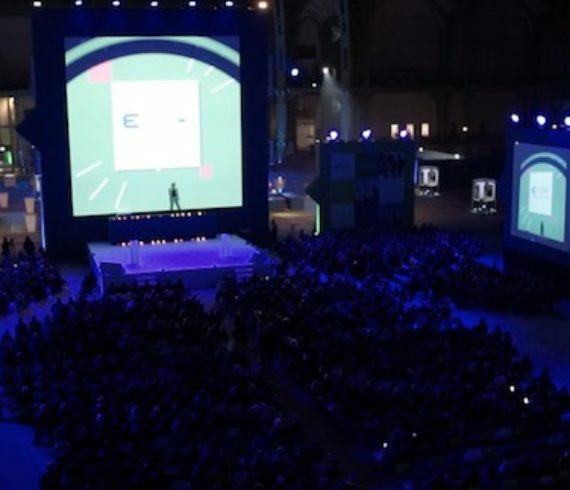 For the reveal of their new advertising campaign, our client (a french gas water brand), surprised their guests with wonderful shows during the party. The event was really crazy! The lighting violinist performed for a wedding in Theoule-sur-Mer. Dressed in Haute Couture with her glass and LED’s violin, she plays a remixed classic rock and symphonic hits. Her show brings an extra touch of class for this special occasion. She sets fire to the audience to leave an unforgettable memory to her visit.